I’m so excited! I just had one of my dreams come true. I’ve wanted to talk to Ratchanee Sripaiwan, the author of the Maanee มานี books, for as long as I can remember and it finally happened. I was enthralled to finally meet her. It took almost two months to find her. When I wasn’t having much success in my initial attempts I called the Ministry of Education. They were very protective of her privacy and I certainly understood that. I told the Ministry it would mean a great deal to me to meet Ms. Sripaiwan in person. 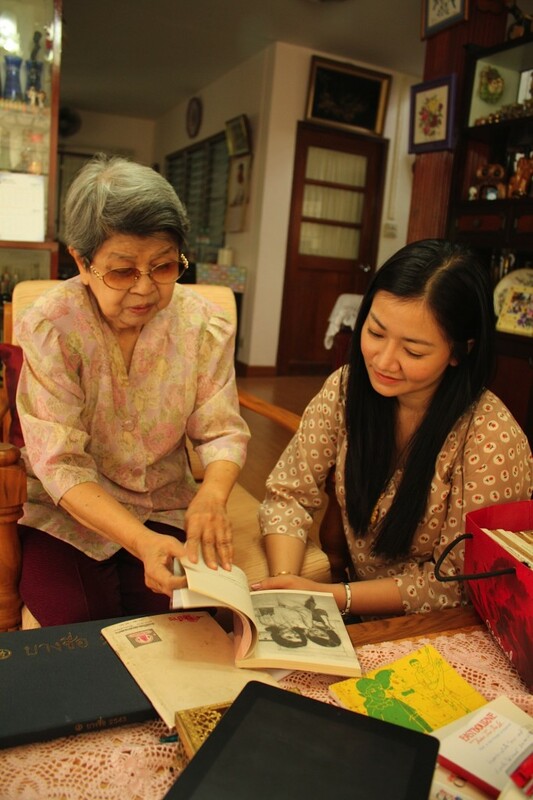 Her books inspired me as a little girl and I’m sure they inspired many other young Thai girls. To me, Ratchanee Sripaiwan is a legend. Even though Thai schools have stopped using the Maanee books, I use Maanee to teach foreigners to speak and read Thai. That means the audience for Maanee has grown beyond the borders of Thailand. I wanted to let her know how much influence her books have had on me and other learners of the Thai language. Finally after a great deal of prodding they put me in contact with Ratchanee Sripaiwan’s daughter-in-law. 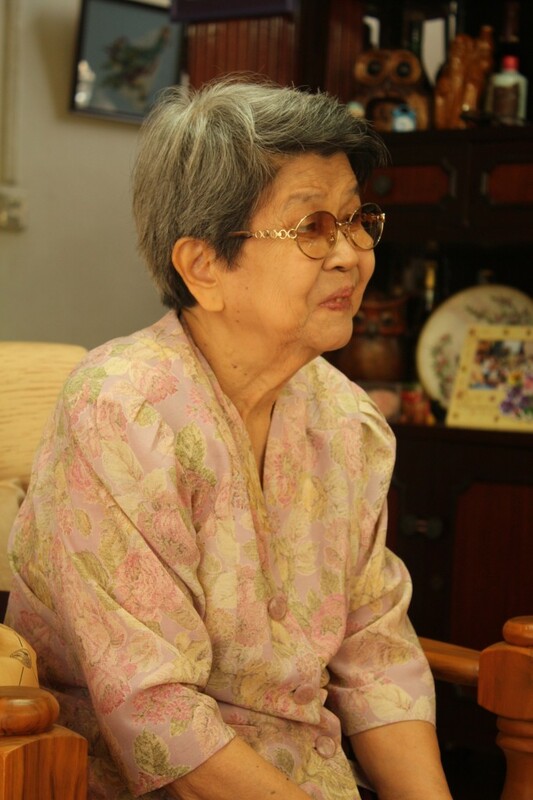 I called her and explained my desire to interview Ms. Sripaiwan. At first she was hesitant. I’m sure she wanted to make sure I was genuine. After a couple of minutes on the phone I finally found myself speaking with Ms. Sripaiwan herself! It was such an inspiring moment. I asked her for an interview and she said yes. How can I possibly describe my feelings when she agreed to meet me? I wanted to talk to her about her books and my project to translate it into English for foreign Thai language students. But more than anything else I wanted to meet her to say hello. She has always been one of my heroes. The interview was very pleasant. Her voice was sweet and kind. She reminded me of an old time Thai teacher, which she is of course. In fact, she is now in her ’80s! I’d always wanted to ask her about the illustrations in Maanee She said she commissioned an artist to do the pictures when she was writing the book. Each picture was drawn according to her specifications and she was so happy they turned out as she envisioned them. She was also very excited to hear about my project to translate Maanee and use it to teach foreigners about Thai language and customs. She was so excited she showed me some original copies of the first Maanee books published, a set of 12. Can you believe these books originally cost 4 baht each? Now they are antiques. To buy the whole set now would cost 6329 baht! My jaw dropped and I wanted to cry when she signed a book and gave it me. I felt incredibly honored. She wanted to know how I was using the Maanee books. I told her I was posting them on my website free for anyone to use. They would have the original Thai words with audio available for non-speakers to hear the speech. There would also be an English translation of the words on each page to aid foreign learners of Thai. She was really excited to hear that. She also told me she had heard from other teachers using the Maanee books to teach Thai overseas. I’m still feeling over-joyed to have spent time with Ms. Sripaiwan. I met her as a wide-eyed fan glad to meet a celebrity. She was every bit as sweet and wonderful as I had imagined. We had a great discussion about our lives and the book. Now we’re building a friendship. I sent her a gift after our meeting and we’ve agreed to get together again soon. I’ve discovered Ms. Sripaiwan is a wonderful person and now she’s a valued friend. I hope you’ll think of her each time you use Maanee to learn Thai. I had the luck to buy a full set of the books and I am still learning Thai thanks to Manee. Please tell Kru Sripaiwan my best regards from Switzerland! a visit this weblog, Keep up the nce work.